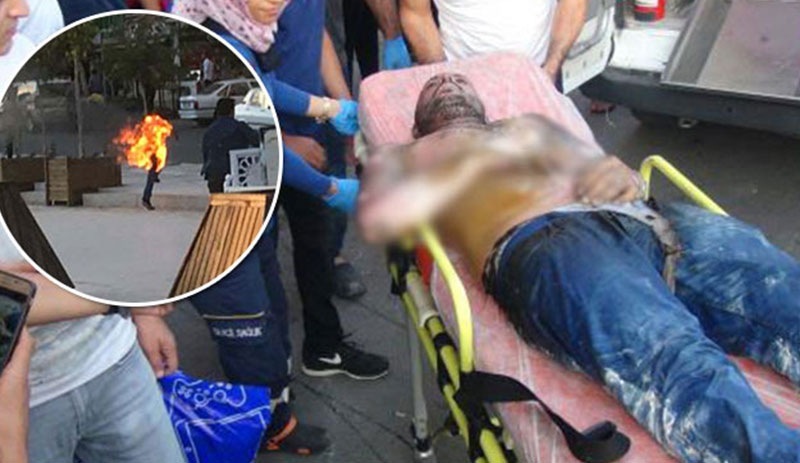 An unemployed Turkish man, who was denied several times to see mayor for a job application, set himself on fire on Thursday near an area where the mayor and some Turkish MPs met for an event, in southeastern Gaziantep province of Turkey, Turkish news outlet Artı Gerçek reported. Eyewitnesses said the man was carrying a bin and shouted, “I am unemployed and hungry” as he poured gasoline over himself and set it alight. Artı Gerçek said the unidentified young man, who was rejected for a job many times by the municipality, turned to a fireball as soon as he set himself on fire. The shopkeepers around quickly intervened and put out the fire, news reports said, but the man had severe burns on his body as he was taken to the hospital.